I first told this story at the Rocky Mountain Irish Festival, and expect to tell it many more times. The stories of the Ulster Cycle originated about 2,000 years ago and retold for centuries thereafter. They were first written down in the 8th Century. These stories tell of the exploits of the Red Branch - a group of warriors pledged to defend Ulster during time Connor was king of Ulster. The most well-known of these warriors is Cu Chulainn (Coo- HULL-an). 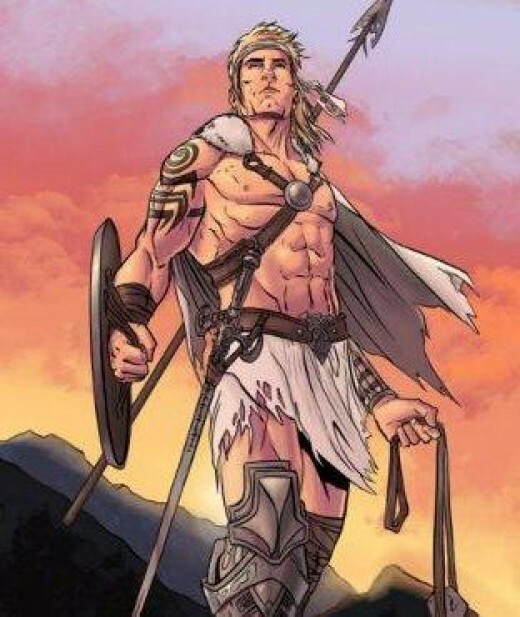 Cu Chulainn's name at birth was Setanta (Shea-DAN-ta). As young warrior, he went to the home of Chulainn for a feast, but he stopped for a game of hurling and arrived for the feast quite late. Forgetting about Setanta, and thinking all his guests had arrived, Chulainn let out his dog to guard the castle while everyone attended the feast. This was no ordinary dog. It was huge and ferocious. It took three chains to hold him. When Setanta arrived, he attacked by the dog. It was a helluva fight. Setanta finally killed the dog by hitting it with his hurling stick. Chulainn was sorry that Setanta had to fight the dog; but Chulainn was also heartbroken at loss of his dog. Setanta promised to guard Chulainn's castle until another dog was trained for the job. And that is how Setanta acquired the name Cu Chulainn - Chulainn's hound. 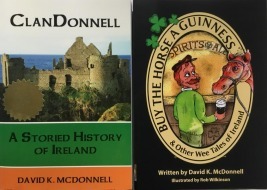 I'm going to tell you one of the stories in the Ulster Cycle. It is the story of Bricrui's (BRICK-roo's) Feast. The stories of the Ulster Cycle were told around the fire after dark by a seanchai (SHANN-a-key), an Irish storyteller and historian. A large clan might have its own seanchai, who would be called out for feasts or festivals. Often times, a seanchai would be an itinerant, traveling storyteller. He would travel from village to village, telling stories - often no more than for food and shelter. A good seanchai could hold his audience spellbound for hours. Indeed, each of the stories in the Ulster Cycle, including Bricrui's Feast, takes about four or five hours to tell. And I'm only going to tell you one. But don't worry. We'll order in pizza after a couple hours. Actually, I'm not going to tell you the entire story. In point of fact, I'm not even going to tell you the story. I'm only going to tell you the set-up for the real story. And the traditional story is quite bawdy and risque and I edited out much for a PG rating. This story is about challenges given to three warriors in the Red Branch, to determine the champion among them.